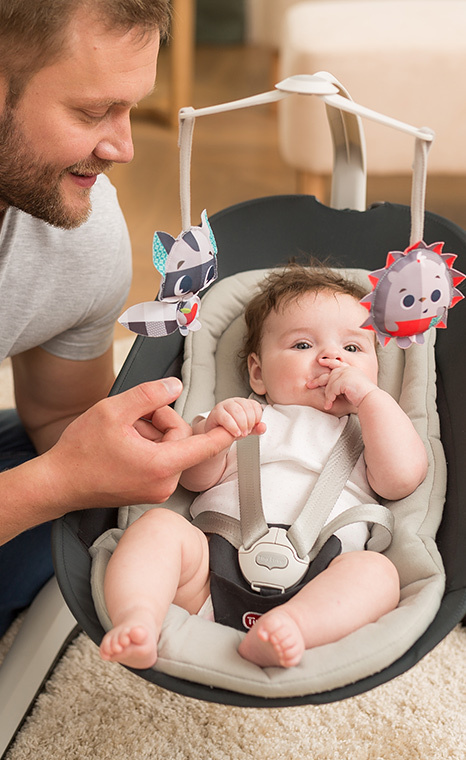 Your baby's expressive verbal language skills develop quite dramatically during this period, making communication that much more fun and rewarding. 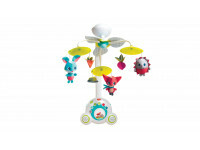 Baby connects several syllables of different sounds in her expressive babble, making her "speech" sound almost real, complete with variations in inflection and tone. Her babble sounds so expressive you only wish you could understand what it all means! Until she gets a little more specific about, you will have to settle with assessing her mood through her tone and enjoying the way she uses her voice to call to you or get your attention. Your baby’s developing communication and understanding skills are making her a much more active part of the conversation. She reacts to her name and begins to show real interest in adult conversation. Notice how your baby "follows" a conversation with her eyes, and may even try to make her point of view on the matter known to all! 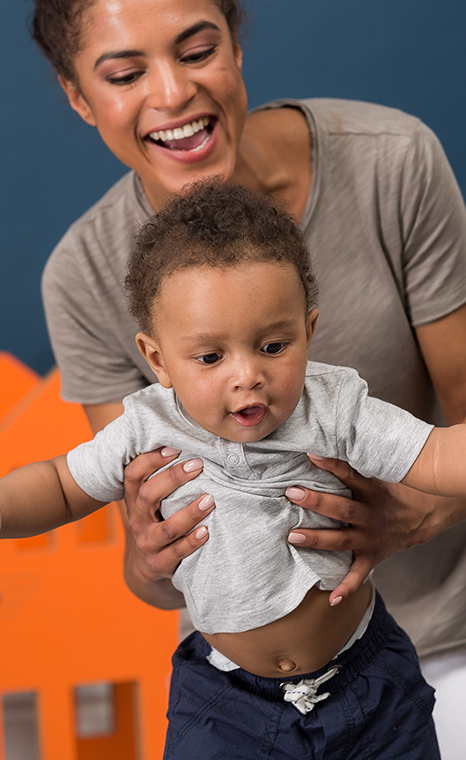 By the ninth month, your baby's developing non-verbal communication skills might include gestures and signals, such as waving goodbye, pointing to objects, clapping hands, and more. As the end of the ninth month approaches, you will notice that your baby seems to understand many words, and reacts to words from her world, such as bottle, blanket, or familiar names. She also begins to understand the connection between sounds and the objects that make them happen, such as barking and a dog, or ringing and a telephone. Language comprehension begins to appear. Begins to show interest in adult conversations, even if they are not directed at him. When you call out his name and he can not see you, he begins to search for you and turn his eyes toward you. Begins to use his voice to get your attention or express his wishes. Speak to your baby as much as you can. Tell him what you are doing together, what you are looking at, what you are both hearing. Put his feelings and actions into words, such as "You must be tired," "You're eating a banana," etc. 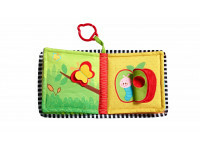 Dialogue with your baby, change your intonation, and listen to the inflection and tone in his voice. 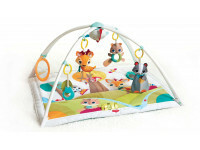 Encourage him to imitate your sounds and facial expressions through play. Invite your baby into your world; make him feel a part of your dinner table conversation.